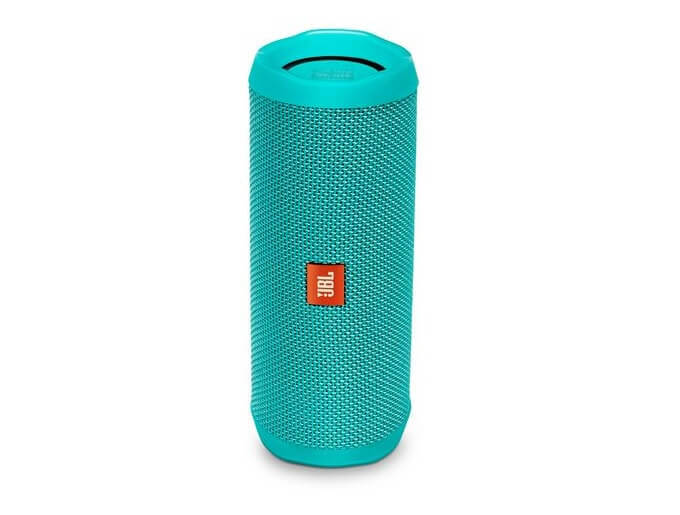 JBL recently released another portable wireless speaker in the Philippine market. If you’d set aside the Pulse 3’s 360-degree LED lightshow, then, the enhanced Flip 4 comes with similar features as the Pulse 3, but with some additional ruggedness and durability. The Flip 4 flaunts a durable fabric material and tough rubber housing, allowing the device to deliver powerful sound wherever you decided to. With IPX7 rating, consumers can use it outdoors without having to worry about rain or spills. In fact, they can even submerge the speaker in water, just like the Pulse 3. It is equipped with dual external passive radiators that enhance the bass performance of the device. It allows wireless Bluetooth streaming, too, which means you can connect up to two devices to the Flip 4 simultaneously. Also, you can connect more than 100 JBL Connect+ enabled speakers together for more powerful sound to your party. The Flip 4 has noise and echo-cancelling speakerphone, enabling users to make clear calls through the speaker. It can access Siri or Google Now, too. It is also powered by a built-in 3000mAh rechargeable battery that can last up to 12 hours of playtime. You can now get your own Flip 4 for only Php6,995.